Kanban. New feed in contact profile. Markers. New mailbox features. Likes in Intranet. Dear colleagues! Our system has undergone significant improvements. We have upgraded existing functions and added some new features. Now you can apply the sensational kanban approach to your tasks and deals. All client's activity — incoming and outbound calls, emails, deals, activities, tasks, reminders, appointments, documents, website visits etc. — are now displayed in one chronological feed. Activity and deal profiles have also undergone upgrades. 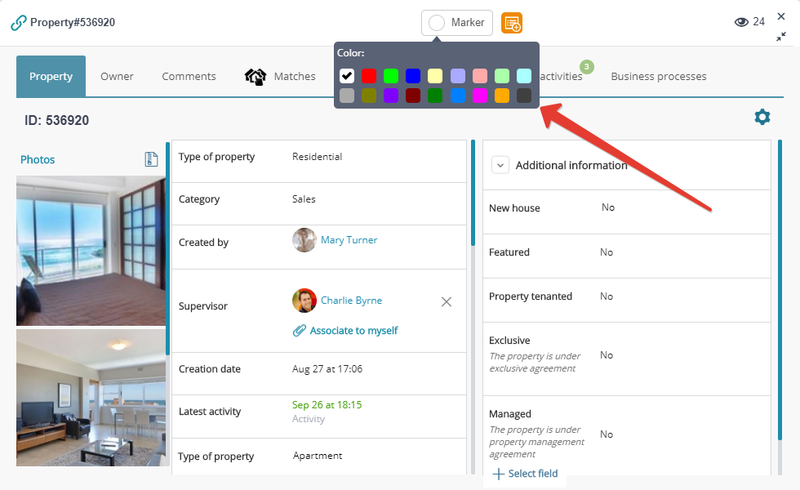 Now every user can mark any CRM elements (contacts, deals, objects, tasks, etc.) with different colours. All the marked elements can be easily filtered in the special section entitled "Marked". This function allows to group contacts/deals/tasks/objects etc. according to your own logic. 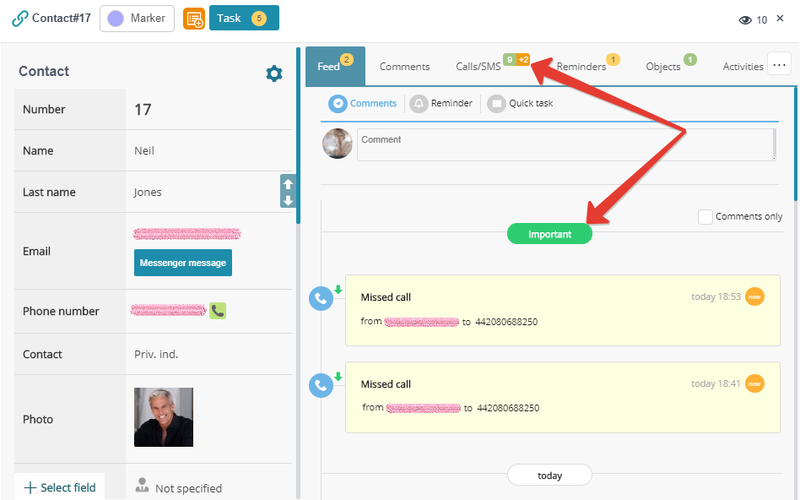 All incoming calls and emails left without reply are displayed in section "Important" and in contact profile. In order not to miss a single lead, all the entries in this section must be processed in a mandatory manner. New features and add-ons in "Templates" and "Documents"
Templates interface has been upgraded to display the list of templates sent to client's email, including messages sent by other CRM users, if this is implied by the access permissions. "Likes" for users in news feed and changes in Intranet structure. Improvements in "Emails" functions and interface. Setting filter rules for emails assortment by folders. Flexible access permissions for copying CRM objects for individual users and departments. Additional functions in "Business processes". 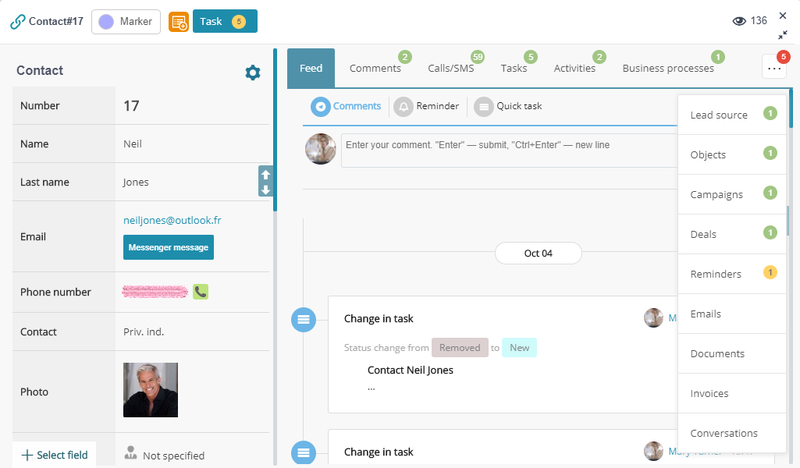 New ways to work with system elements associated to contacts, activities, deals and objects.